What are you doing today to look good? Does the team look good? Does our project look good to management? Scrum certainly has the goal to deliver value to stakeholders and make customers happy. I think teams often focus on getting out frequent releases in order to do this. But aren’t there more ways than just delivering software to do this? What about continually delivering value to your stakeholders while the team is gearing up for the next release? 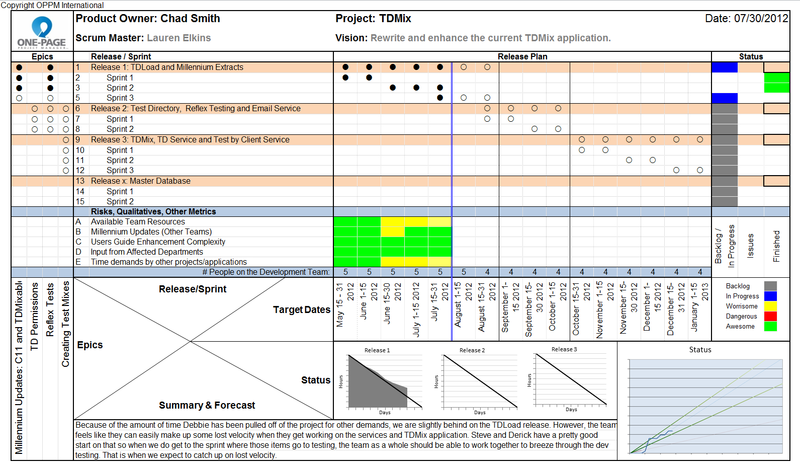 Do people outside of your team have clear visibility on your team progress and project status? Or is only your Product Owner checking your burndown chart? Maybe they’re not even checking, but that’s a different blog topic. Shortly after I finished my certified scrum master class, I met with a couple of project management experts to work on putting together a tool to deliver value to stakeholders and make customers happy throughout the project. I also happen to be related to these experts: my dad, Clark and my brother, Mick. Our goal: a one-page project status for agile projects. Would that be useful for your organization? I see a ton of value in having a great report to show several important metrics about your project: project progress schedule, delivered business value, product release burn-up chart, risks, the release plan, and the overall project status. 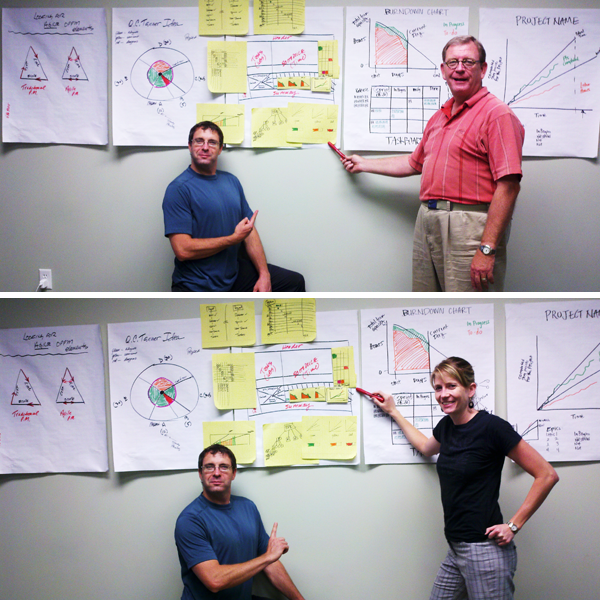 In the end, we feel confident in our Agile One Page Project Manager, simply using Excel to create the report. What do you think? Mick and Clark are coming out with a book, The New One-Page Project Manager, that will describe the step-by-step process of creating the report and the purpose of each piece. Would a tool like this be useful for your Agile projects?